Did you know that the best way to achieve good oral health is by receiving regular Houston dental care? Brushing and flossing are important aspects of oral health. However, frequent trips to the dentist are just as crucial to your overall health. Good dental hygiene involves more than choosing the right toothbrush. Patients need to ensure their teeth are healthy. Only a dentist can conduct that thorough of an examination. Oral health problems can happen despite your best intentions. Cavities, discoloration, and misalignment can happen even if you brush often. Having these concerns examined before they become big problems will save you time and money. You will also find that addressing these concerns early on results in a lot less pain. Dental professionals are the only ones who can diagnose and treat these issues. For this reason, regular trips to your Houston-based dentist are key to oral health. Patients looking for a dentist in Houston, TX should call Marquette Dentistry today. Marquette Dentistry has a proud history of serving the Houston area. They treat their patients with respect and compassion, ensuring that everyone is comfortable with their care. You can learn more about the services Marquette Dentistry offers by visiting them online at http://www.marquettedentistry.com. New and returning patients can contact office staff by calling 832-786-4406. Marquette wants all their patients to be happy with their smiles. Providing the best oral health care in the area is how they reach that goal. One of the most important steps to oral health is to have a dentist in Houston examine your teeth. These examinations should happen at least once per year. Patients with ongoing or chronic health conditions affecting their mouths should visit more often. If you have gum disease or are at risk for oral cancer, you should visit twice per year. Regular exams will help identify any potential issues before they get worse. Having a professional cleaning twice a year is also a key part of good oral health. These cleanings will remove plaque and other bacteria from your teeth. If you have issues with plaque buildup or have gum disease, you may want to visit more often. Plaque builds up quickly. Even the best toothpastes on the market cannot remove plaque the way a professional cleaning will. These visits are a great way to prevent future oral health concerns from occurring. Marquette Dentistry is happy to offer examinations and cleanings as two of their many services. The have a team of compassionate dental health care professionals on staff. Their model of care involves a patient-first approach. They want to be sure that you are comfortable with the treatment you receive while at the clinic. This philosophy makes many patients feel at ease while having their teeth cleaned and examined. You can learn more or book an appointment online by visiting http://www.marquettedentistry.com. You can contact clinic staff or book by phone by calling 832-786-4406. Visiting a Houston-based dentist for teeth whitening can lead to better oral health. Stains and discoloration are not always signs of unhealthy teeth. They can mean that the foods you consume is affecting your enamel. Many individuals feel less confident with discolored teeth, despite the fact that they have an otherwise healthy smile. Whitening procedures can restore confidence, leading to improved health overall. It can also make your mouth feel healthier. After whitening, many patients avoid foods and beverages that would otherwise stain their teeth leading to better oral health. Misaligned teeth can lead to a few different oral health issues. In some cases, gaps between teeth can allow food particles to get in hard to brush places. You may notice cavities and gum disease as a result. Investing in alignment procedures can help you minimize the risk of those health concerns. Teeth alignment may seem costly, but it can be quite affordable. Take the time to find a clinic with a membership program, or one that accepts a payment plan. Investing in straighter teeth is not just a cosmetic procedure. It will lead to better oral health in the end. Patients in Houston can contact Marquette Dentistry to learn more about these procedures. Marquette Dentistry offers new and returning patients the opportunity to enroll in a VIP Program. Membership in this program gives you access to exclusive pricing and discounts on many dental services. This program can make whitening and alignment affordable for many patients. You can visit them online at http://www.marquettedentistry.com or drop by the clinic to learn more. Interested patients can also contact their office staff by calling 832-786-4406. In some cases, you will need rehabilitative treatment. Patients need this type of dental care in cases where replacing a tooth is not possible. More often than not, this is the result of sudden trauma or disease. If you are missing teeth, you should visit a dentist in Houston, TX as soon as possible. Missing teeth will lead to a number of other dental health problems. These issues include serious health concerns like dental shift and bone loss. A dentist can help you address this issue by restoring your oral health. There are many options available for rehabilitative treatment. Dentures and implants look very realistic. In some cases, no one except you will know they are there. Speak with your dentist to find out which rehabilitative option is best for you and your situation. If cost is a concern, ask about incentive programs. Replacing your missing teeth is essential to your overall oral health. Contact Marquette Dentistry at 832-786-4406 to learn more about their rehabilitative services. Their dental staff is caring and compassionate, and wants to be sure you are happy with your smile. Performing restorative treatment is one of their many specialties. You can visit Marquette Dentistry online at http://www.marquettedentistry.com to learn more. Interested patients can also contact them by calling 832-786-4406. The best way to have a healthy smile is to see your dentist in Houston on a regular basis. Frequent checkups and cleanings will reduce the risk dental disease. Even cosmetic treatment, such as whitening and alignment, are key to your oral health. A dentist is able to identify and treat concerns before they worsen. If you are looking for a new dentist, contact Marquette Dentistry today. They have a team of caring and compassionate dental health care professionals. 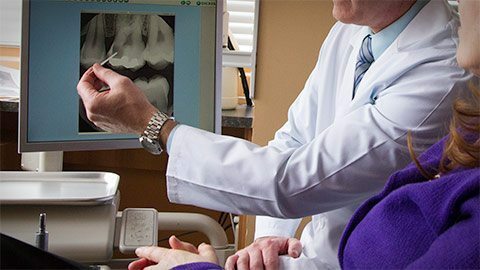 Marquette Dentistry is dedicated to your oral health, and will do what they can to help you achieve it. Visit Marquette Dentistry online at http://www.marquettedentistry.com to learn more. You can also contact Marquette Dentistry by calling 832-786-4406. When it comes to finding the best Houston dental care, look no further than Marquette Dentistry. Houston dental appointments are available for every type of oral care that may be needed. Overall health is linked to oral health, and dental visits should be scheduled every six months. In addition to regular check-ups, there are many different reasons for scheduling an appointment for dental care in Houston. Toothaches and dental emergencies cause some of the worst kind of suffering many of us experience. Toothaches can be largely avoided with proper daily care combined with regular Houston dental visits. Dental emergencies can’t be predicted, like any accident; but it can be very uncomfortable waiting to get needed treatment for a painful tooth. Many people experience tooth sensitivity; in fact, it is a common problem affecting millions of people. People with sensitive teeth may experience discomfort from hot or cold drinks, cold air, eating sweets, and sometimes even flossing and brushing. Bad breath, also called halitosis, can be a very embarrassing condition. Studies have shown that among people with persistent halitosis, 85% of them have some type of dental condition which is to blame for the problem. Bad breath is caused by the following conditions, among others: dry mouth, cavities, oral cancer, bacteria on the tongue, and gum disease, which is probably the most common. Mouthwash is a cover-up and not a cure, in most cases. Make a Houston dental appointment to get to the root cause of halitosis. Gum disease, also called periodontal disease, is an infection of the bone and gums which surround the teeth. Gum disease causes tooth loss among adults more than any other dental condition. Periodontal disease is also associated with heart attacks and strokes. Important steps in preventing gum disease are daily flossing, twice daily brushing, and regular dental checkups. Cavities, also called tooth decay, are another reason that people make appointments with their dentists. Tooth decay is a common malady and the second most prevalent disease in the U.S., second only to a common cold. The way tooth decay occurs is that the sticky substance which forms on teeth, also known as plaque, combines with starches or sugars that we eat and the combination produces acids which cause tooth enamel to deteriorate. The same steps for preventing gum disease can help prevent cavities. There are many other oral problems that can occur, such as mouth sores and cracking teeth. Whether there is an obvious problem with your teeth or not, don’t forget that a beautiful and confident smile is one of the best reasons to routinely make a Houston dental appointment.